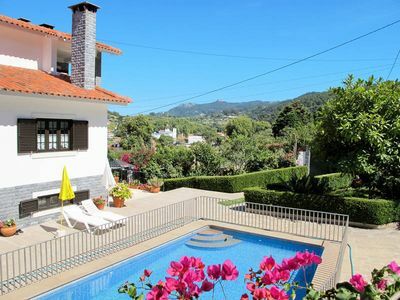 Fantastic Villa in Galamares - Sintra, designed by architect, has a beautiful garden and a private pool, with privileged views to the Serra de Sintra. 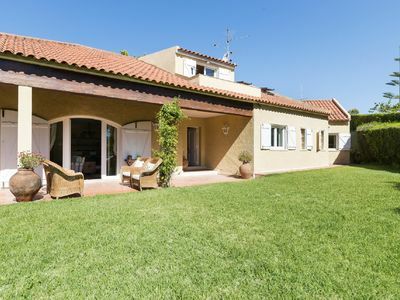 The Villa consists of two rooms, four bedrooms, three full bathrooms and a social bathroom. It has Wifi throughout the house and cable TV. Sleeps 8 people. 7 km from one of the most beautiful beaches of Portugal - Praia Grande. Situated in a quiet area with beautiful views, the Villa is spacious and decorated in a contemporary style with design pieces. All windows open onto the garden or pool. It has a dining table that seats 8 people and both rooms have large comfortable sofas. The main living area is perfect for hanging out with friends, relaxing and enjoying the wonderful views. The TV room is ideal for reading, listening to music or watching movies. The kitchen is spacious, bright and fully equipped. It has all the necessary equipment to cook a delicious meal and also a washing machine, dishwasher and American style refrigerator. The Master Suite consists of a double bed, overlooking the garden and pool, a closet and a bathroom with bathtub. 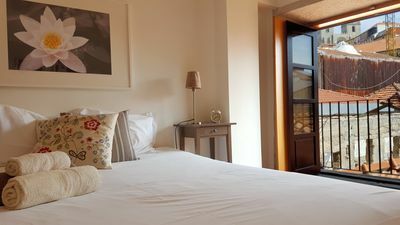 On the upper floor Villa has 3 more bedrooms, all composed of 2 single beds, which can be put together or separated. One of the bedrooms is Suite. It also has two bathrooms with bath. The outdoor space is cozy and decorated to enjoy the pool and the beautiful Sunset. It has a covered area with sofas, table and chairs, seating 8 to 10 people. Luxury and tranquility in an exclusive Villa for those who enjoy silence, privacy and nature. 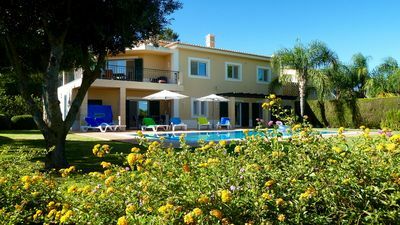 The Villa is close to other tourist attractions such as Vila de Sintra (15 minutes by car), Cascais (25 minutes by car) and Lisbon (40 minutes by car).